This is Alfie! 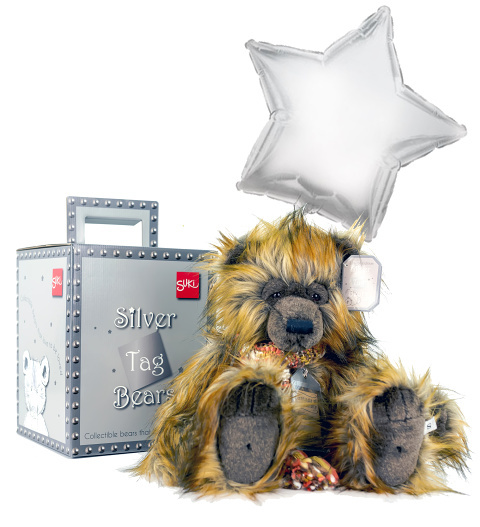 He is one of just 1,500 luxury collectors bears in the world and was lovingly made in 2015. Large 18 inch Helium Balloon included. He has cream and mocha brown plush with gorgeous black and copper tips. All additional features are handcrafted for added authenticity and a superior quality bear. He is weighted with beans and his arms, legs, and head are movable!